Turtle Dove, Levington Suffolk, July 2013. I have only seen Turtle Doves on three occasions this year. 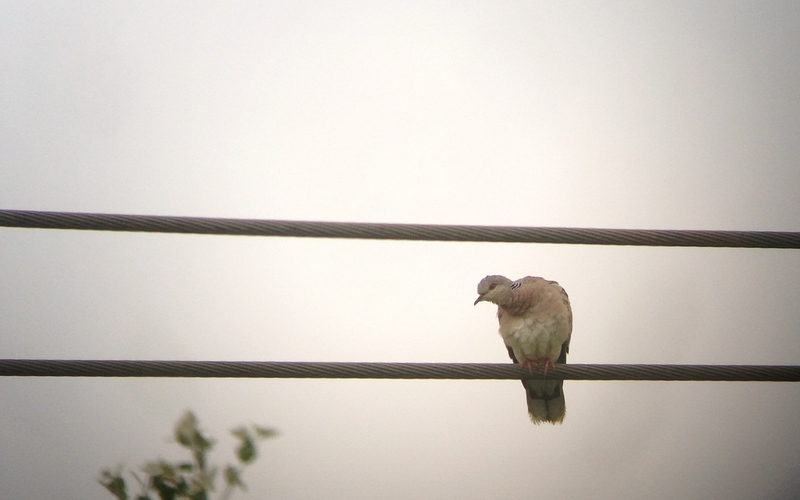 One was perched on telegraph wires near Lakenheath Village in late Spring, the one above was half of a pair and the only purring Turtle Dove I’ve heard this year, the final sighting was an all to brief fly-by whilst out walking with my Dad at Knettishall Heath SWT. The British Trust for Ornithology’s BirdTrack, an online project using data from thousands of volunteer wildlife recorders, has revealed that just 2% of recorders’ lists featured dove sightings in May, compared with 3.5% last year. However, there is some hope on the horizon as scientists currently conducting research in East Anglia have seen positive breeding successes this year with more chicks surviving and leaving the nest than last year. This is further reported on the Operation Turtle Dove website; official figures show that turtle doves – an icon of the English countryside and a fixture in literature and folklore for centuries – have declined by 80 per cent since 1995. But reports from recent weeks show that this summer’s population is likely to be lower than ever. Scientists are currently investigating the causes of the turtle dove’s catastrophic population crash in a fight against the clock to develop conservation measures before they disappear from our shores entirely. The birds face a number of threats including changes in farming practices both in the UK and in Africa where they spend the winter, and are also regularly shot by hunters in Europe and North Africa. So, given these recent announcements I thought it would be timely to announce Dove Step. Dove Step aims to support Operation Turtle Dove and raise much needed funds to support Turtle Dove recovery cumulating in a 300 mile walk from Lakenheath RSPB in Suffolk to Saltholme RSPB in Cleveland in April 2014. This represents half the length of the British Isles and will encompass the core range of Turtle Doves in the UK. Through this blog I will share our preparations ahead of the walk next April, any Turtle Dove news and hopefully some guest posts from Turtle Dove types! Be sure to check out the Inspiration, Supporters and the Journey pages and if you are able to feel free to visit the JustGiving page.